Mirrors in the dressing room can provide for some interesting effects. 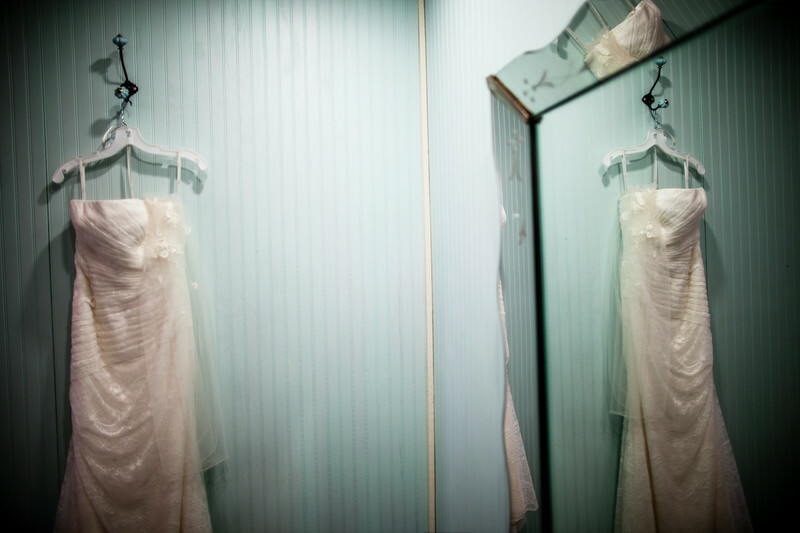 For this photograph I positioned the wedding dress on a hangar near the mirror and shot with a wide angle lens to capture the dress and its reflection. As a bonus the frame was also mirrored so was able to photograph the dress 4 times in one picture. This wedding was held at the Barn at Harvest Moon near Madison, Wisconsin. 1/40; f/1.6; ISO 100; 24.0 mm.